A range of solar-powered water pumping systems, developed by Monoflo for use with boreholes, wells, lakes or rivers in remote areas, is setting new standards for efficiency and performance. Designed to operate in places where electric or diesel power is unavailable and service and maintenance is impractical, the Monoflo solar system offers technically advanced features. 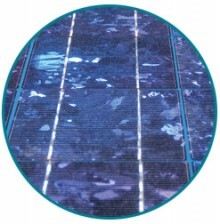 The unique GPS (Global Positioning Satellite) tracking maximises the exposure of solar panels to the sun with a simple ‘plug and play’ functionality. At the heart of the systems are the high performance progressing cavity pumps, which deliver an overall performance far beyond that typically available from centrifugal pumps. The rotor element used in borehole applications is proven to provide maximum water output, even in bores containing silt or iron oxide, and low pump speed means extended rotor and stator life in abrasive bores. The Monoflo Solar Water Pump range is particularly appropriate for use in Mediterranean countries and in Africa to meet the needs of rural village water supplies, livestock and irrigated agriculture.